This tag was going around Instagram and I wanted to see if I could find a decent ombre that wasn’t blue because I just realized how many blue books I actually have! This was fun, just find a few books of the same colour but varying hues/shades to create an ombre effect. 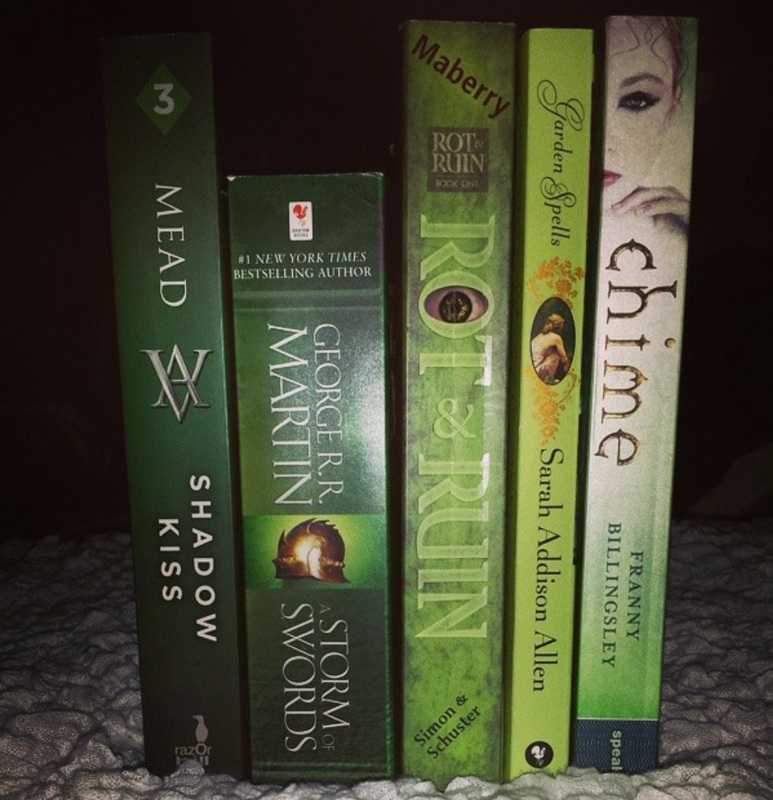 This entry was posted in Book Tags, Uncategorized and tagged beautiful, book, booklover, booknerdigan, bookombre, booktag, bookworm, chime, fantasy, Franny Billingsley, Game of Thrones, garden spells, george r r martin, GoT, green, jonathan maberry, love, ombre, photo, potd, richelle mead, rot & ruin, sarah addison allen, tag, vampire academy, Vampires, zombies. Bookmark the permalink.